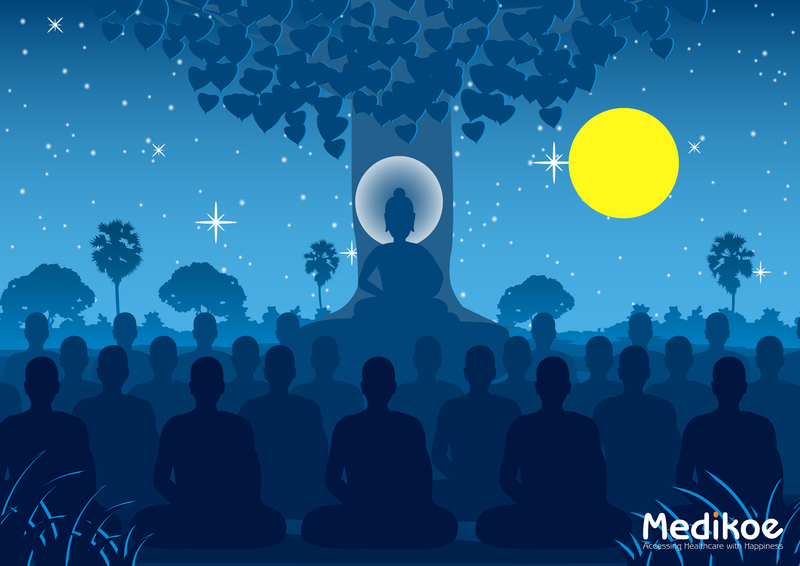 Vipassana is one of India’s most ancient meditation techniques that was rediscovered by Gautama Buddha. Vipassana literally means – insight or clear sight. It teaches us to see things clearly without judgment, argument or interpretation. The practice originates directly from the Satipatthana Sutta (Foundations of Mindfulness), a discourse attributed to Buddha himself. It is a way of self-transformation through self-observation that aims at complete eradication of mental impurities. It focuses on a codified system of training one’s mind for attentive listening, mindful seeing, and carefulness. Vipassana meditation is directed at the highest spiritual goals of complete deliverance and complete enlightenment. Its purpose is not just to cure physical illnesses. However, as a by-product of mental cleansing, many psychosomatic diseases have disappeared. Vipassana is also considered as medication techniques that eliminates the three causes of unhappiness: aversion, craving, and ignorance. The origin of the practice is Sila, means moral conduct. It provides a basis for the development of Samadhi (concentration of mind). The purification of the mind is done through Panna (the wisdom of insight). Most Vipassana meditation practitioners will ask you to take a residential course under the guidance of a qualified teacher. Students remain in the Vipassana Meditation Centre and have minimal to zero contact with the outside world. They refrain from reading and writing and suspend religious practices or other disciplines. The schedule demands meditation for about one hour in the morning and one hour in the evening for about ten days. Moreover, they need to practice meditation after you wake up in the morning and five minutes before you fall asleep. They observe silence and do not communicate with fellow students. For the first few days, students practice Anapana meditation that focuses on breathing and develops control over the distracted mind. The next step involves attaining clarity of insight and clearing the mind of underlying negativities. The procedure revolving Vipassana is nothing complicated and is inherently simple. You merely need to find a comfortable seating position and breathe normally, without any extra effort. Keep your spine straight and allow the energy to flow. The basic principle is to be aware and observant. However, this may seem like a difficult task for beginners. It is not easy to tame one&apos;s thoughts, and that is why you need a spiritual guide who will help you wholly focus on the sound of your breathing and nothing else. Start from the top (head) and start observing your breathing for a few seconds. After some time, you can begin focusing your neck area. Now, you need to turn towards your right shoulder, hands, and back. Continue this with the rest of your body. In this technique, you need to observe every single thing. You need to avoid every itching, numbness, and pain that you feel during the meditation. Through VIpassana medication, you can develop a good sense of observation. When you are scanning each part of your body, ensure that you are not skipping any single part of your body. You need to focus on every single piece of your body. Why Should One Practice Vipassana? Vipassana has shown to possess incredible benefits. It empowers us with mindful attention. It enhances mood, eases depression, purifies the spirit and allows us to experience peace and harmony. It frees our mind from deeply seated sufferings, allowing us to achieve mental clarity and a renewed sense of calm. If you want to experience a heightened sense of mindfulness and be more present in your life, try Vipassana meditation for a wholesome life.